For the 10th year in a row, Aero Gear Inc. participated in the ACM Work Opportunity Fair & Trade Show which is held every October right here in Windsor, CT. 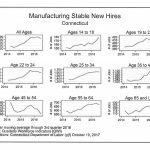 The demand for new skilled workers is, and will continue to be, an issue that must be addressed to ensure the growth of manufacturing in Connecticut. 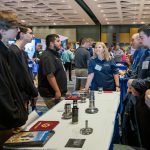 The Workforce Opportunity Fair provides the ideal opportunity to expose our regional high school and middle school students to great career opportunities in the field of precision manufacturing, particularly in the aerospace industry. Thanks to the hard work of the ACM Workforce Development Team, attendance this year was yet again outstanding. As oIMG_2253ne of the many companies represented at the fair, Aero Gear truly enjoyed the opportunity to reach out to our next generation of highly skilled workers. In addition to the fair, Aero Gear works closely with local community colleges to pursue those students who are truly interested in getting into precision aerospace manufacturing. Specifically, Asnuntuck Community College, now offers a program that trains students in both manual and CNC machining, and teaches them about quality and Lean Manufacturing through a combination of class room and hands on training with real equipment. As part of the program, Aero Gear provides an internship where the student actually spends time working with us a few days a week. Many of these students over the years have been offered full-time employment upon completion of this program. The second half of the ACM Show is dedicated to showcasing our capabilities to customers, both from surrounding states, and the international community. Connecticut, also known as “Aerospace Alley”, has been a steady and growing supplier to the Aerospace industry for years. Exhibitors at the event frequently have the opportunity to meet and form relationships with international attendees – relationships that more often than not, turn into business opportunities. In more recent years, we’ve seen representatives from Sikorsky, Pratt & Whitney, Rolls Royce, and GE making the rounds. 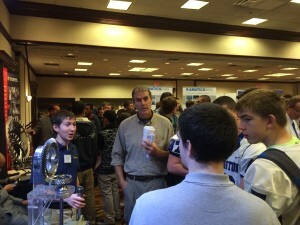 All in all, we’ll mark this year as another success at the ACM Work Opportunity Fair. We’re looking forward to next year, as the show is moving to the CT Convention Center because of increased attendance. This will be our last blog post of 2015, as we start looking ahead and planning for 2016. We wish everyone a safe, and happy holiday season.